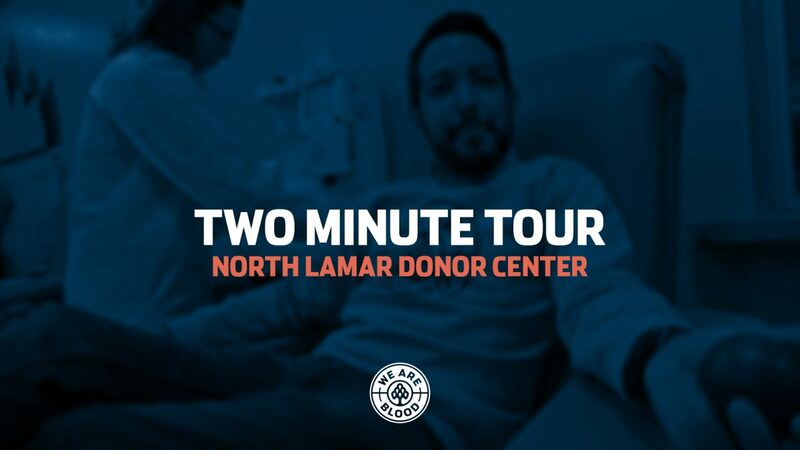 Join We Are Blood’s VP of Community Engagement, Nick Canedo, on a 2-minute tour of the donor experience at our North Lamar donor center! It’s a super simple process, and Nick is here to prove it. Ready to make your next (or first?!) trip to one of our donor centers? Click here to schedule an appointment!